Chinese propaganda efforts know no bounds. One week after Chinese President Xi Jinping completes his landmark visit to the United States, a Sino-U.S. Colloquium, under the theme “Beyond the Current Distrust,” will be held in Washington, D.C. The eighth in a series since 2012, the colloquium is organized by the China Energy Fund Committee (CEFC), a Chinese “strategic think tank” which recently established a branch in the Washington area. If you plan on attending the event, here are a few things you need to know about the organizer and some of the panelists. Those are just some of the activities that the CEFC is involved with, often behind the scenes. CEFC did not respond to request for comment for this article. Let us now turn to the panelists and chairs of the four sessions at the October 5 colloquium. Unsurprisingly, Hugh White of Australian National University and Charles Glaser of George Washington University, two vocal advocates of a “grand bargain” between the U.S. and China whereby Taiwan would be “ceded” to Beijing — against the will of Taiwan’s 23 million people, I might add — are among the speakers. Setting the tone for the conference, the two panel chairs are Patrick CP Ho, the deputy chairman and secretary general of the CEFC and a former Hong Kong Secretary for Home Affairs, and Amitai Etzioni, a professor at GWU and director of the Institute for Communitarian Policy Studies. Etzioni is widely known for his highly critical views on the U.S. “rebalancing” to Asia and the AirSea Battle concept. Like White and Glaser, he also tends to regard the Taiwan “issue” from a perspective that gives the Taiwanese themselves little, if any, agency (he also believes, wrongly, that international law does not apply to Taiwan because of the “one China” policy). Notwithstanding the participation by Kurt Campbell (keynote), Orville Schell (panelist), and Bonnie Glaser (panelist; unrelated to Charles Glaser), the tilting of the conference in China’s favor is made explicit in the second (“Building a Stable U.S.-China Balance of Power in the Western Pacific: How to Proceed”) and fourth (“Time to Decide: Contain China or Accommodate It?”) sessions, both of which are stacked with speakers whose views lean toward accommodating China. The composition of the speakers in the fourth session is particularly revealing; none of the individuals on the panel is known to ever have argued for containment of China. In fact, they have all argued the opposite by calling for accommodation. This creates something of a false dilemma, and the outcome of that “discussion” is already known to all of us. Conference organizers worldwide have their inherent institutional biases and political preferences, which often are reflected in the nature of the speakers. Some strive for balance while others engage in what can only be described as propaganda; the Sino-U.S. Colloquium undoubtedly falls in the latter category. 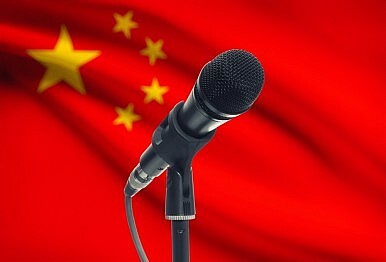 Given the timing of the colloquium, which comes on the heels President Xi’s highly mediatized U.S. visit, the event will conceivably receive substantial attention in academia and the media, and therefore result in a proliferation of sound bites (engendering such “memes” is arguably the very object of academic conferences) that may be of utility to Beijing as part of its overseas propaganda campaign. Consequently, participants at the October 5 conference, as well as the consumers of information (government officials, academics) who will digest its proceedings in the form of subsequent news articles and overviews, would be advised to keep in mind the nature of the organizer, its raison d’être, and its many connections with the PLA political warfare apparatus. For all its claims, the CEFC is not an independent think tank as it is understood in the West. Yet, as it is relatively new and unknown outside China, there is a high possibility that such ties will fly under the radar. The author is an employee of the Thinking Taiwan Foundation, a think tank launched by Tsai Ing-wen in 2012. The views expressed in this article are the author’s alone and do not necessarily reflect the official positions of the institutions with which he is affiliated.